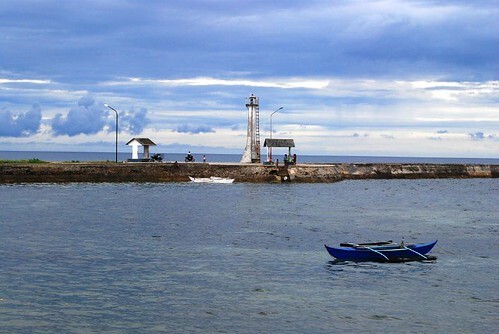 Baclayon is a coastal town situated in the southeastern part of the island of Bohol, Philippines; about six (6) kilometers from the city of Tagbilaran, a mere 10 minutes ride away. It is considered a 5th class municipality with a population of 18,015 people according to the 2007 census. The town of Baclayon covers an area of 3,442.1807 hectares or 34 square kilometers which is politically divided into 17 barangays, namely: Cambanac, Dasitam, Buenaventura, Guiwanon, Landican, Laya, Libertad, Montana, Pamilacan, Payahan, Poblacion, San Isidro, San Roque, San Vicente, Santa Cruz, Taguihon and Tanday. 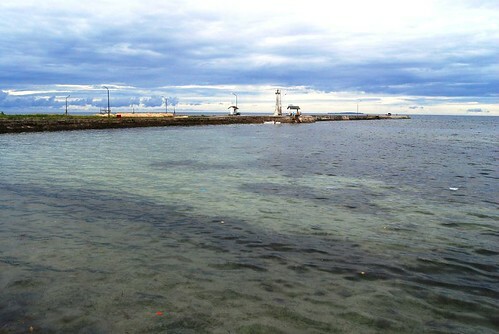 Baclayon played a prominent role in the history of Bohol since it was the first municipality ever to be established in the island by the Spaniards. Baclayon then encompasses its present territory as well as those belonging now to the towns Alburquerque and Corella, Sikatuna, Alburquerque and Balilihan. This municipality was originally called Bacayon because travelers used to detour (bacay) around a rocky cliff along the shore about half kilometer from the municipal building in order to avoid going over the top of the cliff. The town was founded in 1595 by two Jesuit priests, Fr. Juan de Torres and Fr. Gabriel Sanchez, the first recorded missionaries in Bohol. They were also responsible for building Bohol’s oldest church and adjoining 21 meters high bell tower through prison labor. It is even one of the oldest, if not the oldest church, in the whole archipelago. The church and tower are made of stone blocks and looks dark and massive nowadays. The altars are intricately carved and the church boasts of an organ that was installed in 1824. 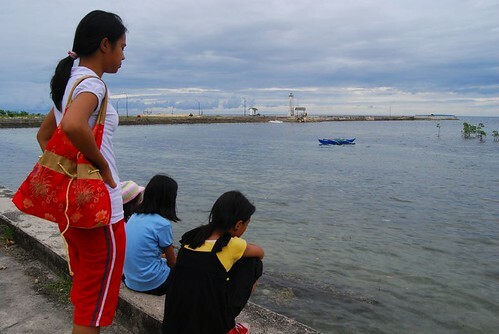 The people of Baclayon are mostly Roman Catholics and are deeply religious. Their faith and any manifestations thereof revolve around their church which is dedicated to the Immaculate Conception whose feast day is celebrated every 8th of December. The church lies along the National Road and faces the sea. Part of it was made into a museum were antiques and other artifacts, which can be traced back to the early 16th century, are displayed. 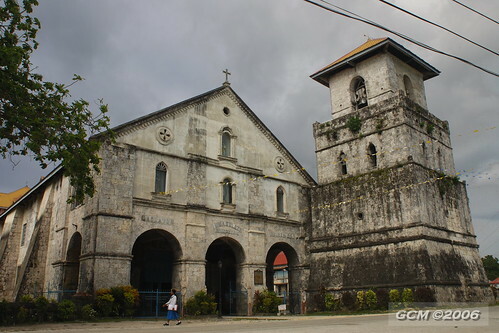 Being the oldest church in Bohol, and plus the added attraction of the Museum, it is often the destination of tourists. Beside the church is the Immaculate Conception Academy, which offers a complete secondary course. The small space between the road and the seashore was developed into a park and a bay walk. A tennis court lies next to the park and to the Municipal Hall. 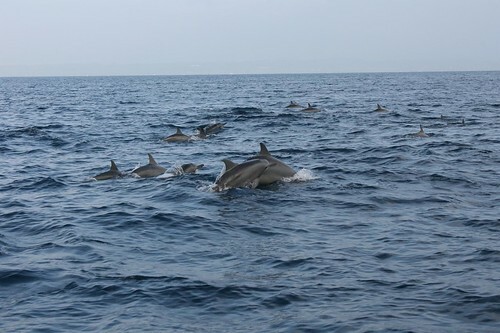 Far off, towards the sea, you will see the docking area of outrigger boats coming from Pamilacan Island where one can enjoy dolphin and whale watching. Across the wharf is the public market where one can avail of the simplest fares yet tasteful ones prepared from the freshest ingredients available. The people of Baclayon are hardworking and industrious. Work revolves around salakot weaving and making of winnowing baskets. Their most important occupations are farming, planting and fishing. Coconuts and copra are some of the major products. Bohol Ancestral Houses are numerous in the province. Some are dilapidated and have been abandoned yet others were lovingly preserved by the descendants of the prominent homeowners. The Villamor House was built in late 19th century in the geometric style by Ciriaco Villamor and wife Agrifina Buhion. They were traders by profession whose daughter later married the founder of the renowned Baclayon Trading Company. It is still owned by the Villamor family and offers Bed & Breakfast accommodations.